Tuscany conjures up images of rolling green landscapes, historic golden towns, and some of Italy’s best cities. It’s also home to a beautiful coastline where you can spend days on the beach, enjoying seafood and the relaxed atmosphere of the area. Couples will love the architecture and quiet landscapes, as well as pretty towns, while families will find activities like cycling, horse riding, and watersports. 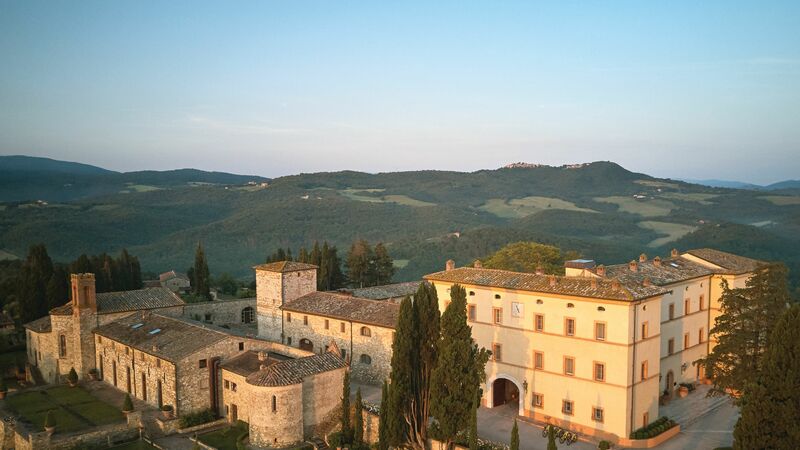 When it comes to choosing where to stay in Tuscany, there are some fantastic options. Stay in Castelnuovo Berardenga for emerald green vineyards, 16th Century villas and rolling green hills which are crossed by tree lined roads. Alternatively, choose Pievescola which is surrounded by beautiful rural landscapes and home to a variety of local restaurants serving delicious cuisine. Both towns offer the opportunity to immerse yourself in the serenity of the landscapes, wander through historic streets and try some local delicacies. Holidays in Tuscany give you the opportunity to totally unwind. It’s home to wonderful vineyards where some of the country’s best wines are produced, as well as olive groves, orange fields, and small local farms. Spend your days admiring the 16th Century architecture of the town, stopping off in local boutiques, and family run restaurants where you can enjoy some of Italy’s best cuisine. When it comes to the evening, there are quiet bars where you can unwind with a cocktail, cool beer, or fine wine in hand. Book you luxury holiday in Tuscany with Sovereign, and we’ll help you choose the ideal hotel for your stay. Whomever you’re travelling with, our Trusted Advisers will take the time to get to know you before recommending one of our expertly selected hotels. Stay at the Castel Monastero for beautiful views over the surrounding countryside, a romantic wine cellar and elegant, rustic interiors. Pievescola might be small, but its luxury credentials are mighty. Renaissance villas double as designer hotels and the local restaurant features in the Michelin Guide. 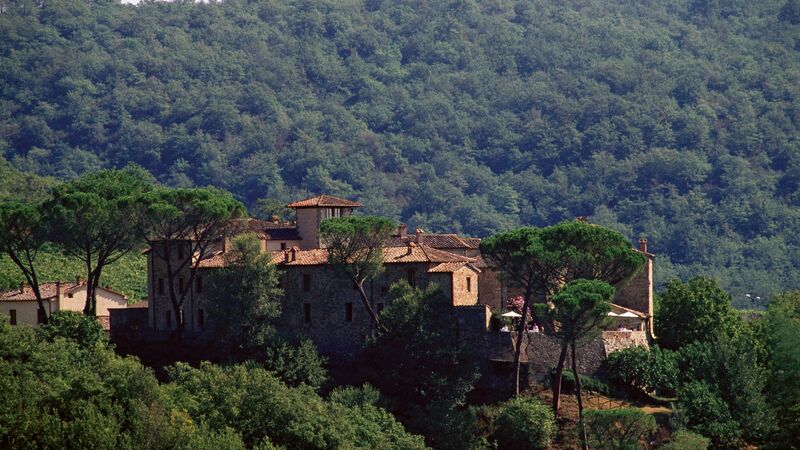 The Tuscan countryside is your oyster from Castelnuovo Berardenga. This Sienese comune sprinkles historic hamlets over a hilly patchwork of sunflower fields and Chianti vineyards. Lovely Siena is often an afterthought, bumped far below cities like Florence and Pisa. But while Siena might not beat those Renaissance giants when it comes to the sheer scale of things, it streaks ahead in the medieval architecture stakes. It arranges its Gothic churches and museum-palaces across the hilltops, with the original Roman market square at its centre. Each of the surrounding 17 districts has its own character – and they all compete against each other in the world-famous Palio di Siena horse races every summer. Take the time to get lost in the backstreets, where you’ll find everything from antique bookshops to Michelin-recommended restaurants. Tuscany is practically synonymous with wine. You’ve only got to look around to see why – vineyards crosshatch the whole countryside. Some are sprawling international wineries, while others are little farmhouses supplying small-batch bottles. The Chianti region fills out central Tuscany, starting near Florence and stretching south to the Sienese comune of Castelnuovo Berardenga. Tastes range from an easy glass to Chianti Classico – an intense cherry red best paired with spiced sausage. For a lesser-tasted red, hop on a tour of the Montalcino district. These roads south of Siena trail through some of the most scenic valleys in Tuscany. The people of Tuscany have spent centuries perfecting the Italian classics – bread, olive oil, tomatoes and wine. The scenery hints at how Tuscans prioritise these staples. The countryside is a network of wine regions, from Chianti to the little-known Montecucco. Get to grips with it all on a wine tour – or just sit down at a trattoria. Restaurants serve local reds and whites as standard, and often come with vineyard-view terraces.